On the UK Spinners forum on Ravelry, someone posted a link to Golding Fibre Tools and I just had to share. 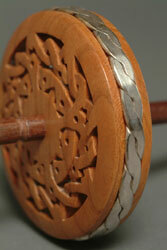 A family business in Vermont, they create beautiful hand crafted spindles and wheels and all things loomy. Time to start working on my Christmas list…..